This Vegan Pumpkin Cinnamon Roll recipe, will ensure that you’ll be the hero of any breakfast, brunch, or harvest party this fall. Don’t forget to save this recipe right to your bookmarks in your browser so you can access it later when the craving really hits! Pumpkin Cinnamon Rolls. You didn’t think I could go through the season without a new pumpkin recipe, did you? I can’t believe it’s actually taken me this long! I’ve had so much fun promoting some of my older pumpkin recipes that I almost forgot to make something new for you. Bad blogger, I know. But what if I told you I didn’t really care about pumpkin? I know. Total blasphemy as a foodie. It’s just not really my thing. And in my experience, recipes are quite finicky when adding pumpkin. Especially when we’re talking baking recipes. The pumpkin adds more moisture. It’s always a little gooier than I’d prefer. And you know – the flavor just isn’t my favorite. But I know for a lot of you, it is your favorite, and because of that, I thought I’d create an out of this world YUMMY recipe (so yummy even I liked it)! Yes, this recipe takes a little more time than most recipes I like to give you. I’m all about quick and easy for that busy life we all know so well. But cinnamon rolls like these deserve a little extra attention and care. I promise you they’ll be worth it. FOR ANYTIME YOU CRAVE PUMPKIN!! Ok sorry about that – I wasn’t yelling. 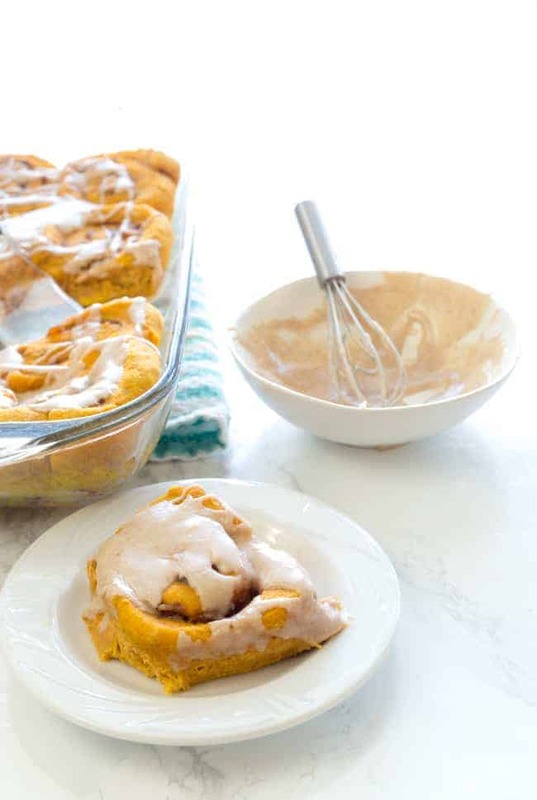 I just got excited… excited for you to put these pumpkin cinnamon rolls in your face! I hope you’re excited too! Oh and did I tell you? I made them totally vegan just for you. Healthier with the whole wheat flour. No eggs. No dairy. Hardly any sugar at all. Just real ingredients. Yet they totally taste decadent and not healthy at all! 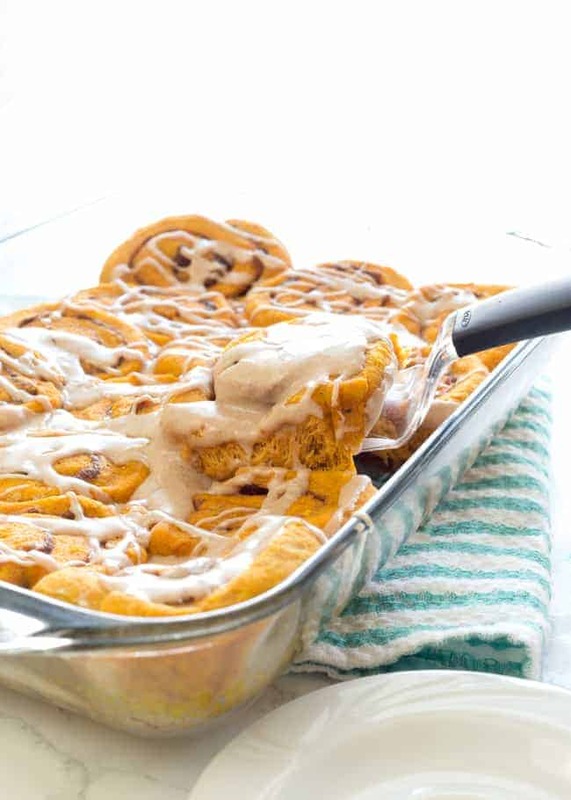 Vegan Pumpkin Cinnamon Rolls – make them this weekend. Make them for your family. Make them and eat them in bed. 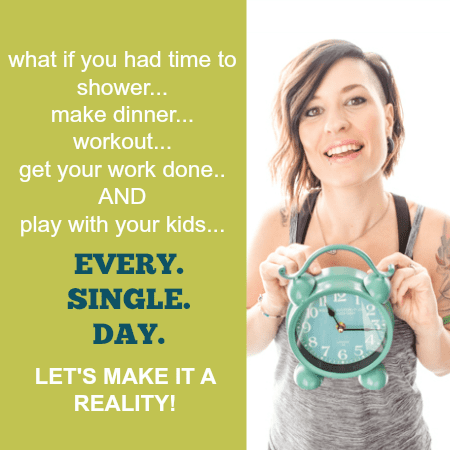 I don’t care what you do – just make them! 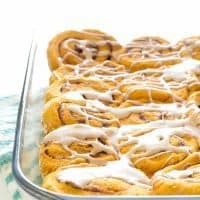 With a solid Vegan Pumpkin Cinnamon Roll recipe, you are sure to be the hero of any breakfast, brunch, or harvest party this fall. In a small bowl, combine the warm water and yeast. Sprinkle coconut sugar on top and let sit for 5 minutes, allowing the yeast to proof. In the bowl of a stand mixer using the paddle attachment, combine the pumpkin, melted butter, and syrup. Once combined, add the proofed yeast and incorporate thoroughly. In a medium bowl, combine the two flours and salt. Using the hook attachment, slowly add the dry ingredients to the pumpkin mixture. Allow to mix and knead for a few minutes. If the dough still seems overly sticky, add a little more flour until you can touch it and it doesn't stick to your finger. Place dough in a large clean bowl sprayed with non-stick spray or olive oil, cover, and allow to rise for an hour. To make the filling, combine all filling ingredients in a food processor until mostly smooth. Once dough has nearly doubled, roll out on a well-floured surface to a rectangle about 18 x 12 inches and 1/4" thick (this can be approximate). Spread cinnamon mixture on the dough and roll tightly beginning at the 18" side. Slice rolls about 1-1 1/2" thick and place in a 9x13" baking dish. Cover and allow rolls to rise about 15 minutes. Preheat oven to 350. Bake 28-35 minutes, or until tops and center rolls are dry and baked through. Combine all glaze ingredients and whisk in a small bowl, starting with 2 tablespoons of almond milk. If you would like a thinner glaze, add a little bit more and whisk until you achieve desired consistency. 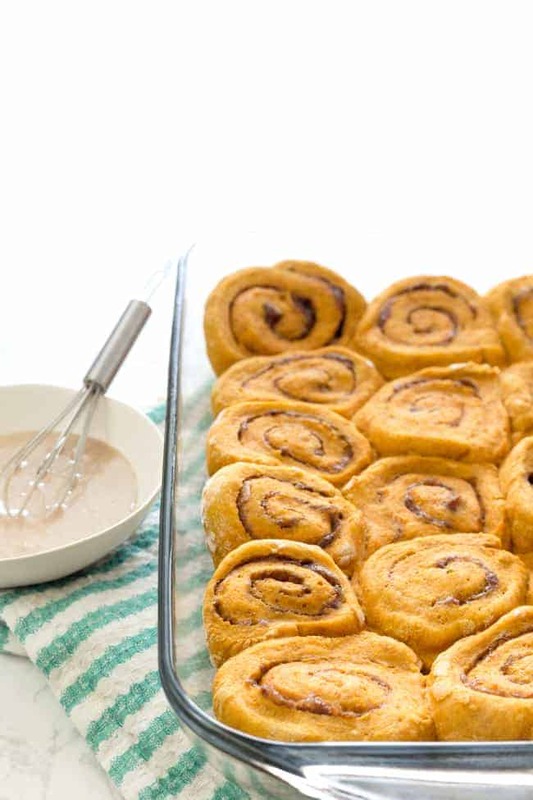 Drizzle glaze on cinnamon rolls and enjoy! 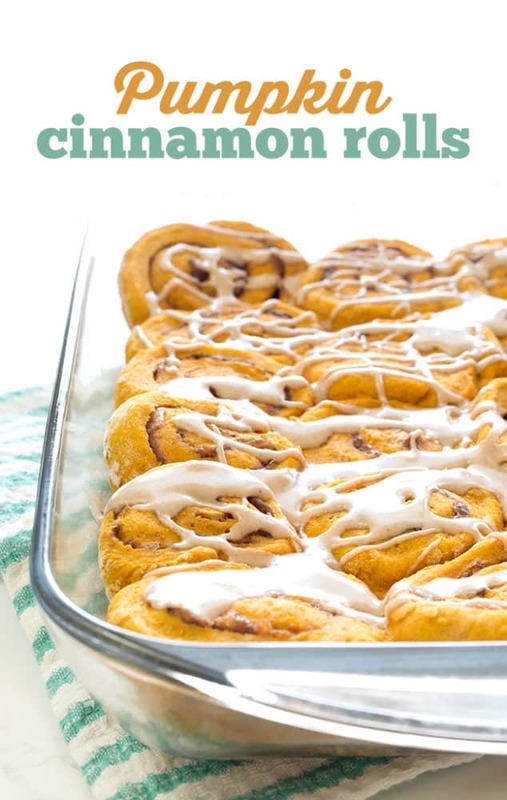 Don’t forget to snap a picture of your pumpkin cinnamon roll creation and upload it to Instagram tagging me, @happyfoodholly, so I can see! I’ll for sure share your pic on IG stories if you do!